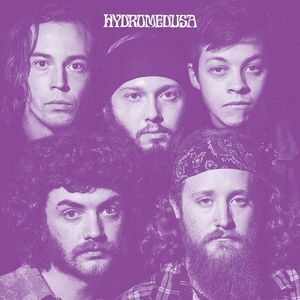 It's a case of the hairy monster Adelaide band that could - many-headed rockers Hydromedusa brought out their self-titled album through Tyms Records, and the fucker keeps selling out! It first came online back in April of last year, and word of mouth spat fire on its brilliance, but every time I rustled the cash for it, it was gone. Now into its third pressing, with behemoths Tee Pee Records pushing its wares around the US, Hydromedusa is only going to get bigger, more gargantuan, more debauched, more raw power. 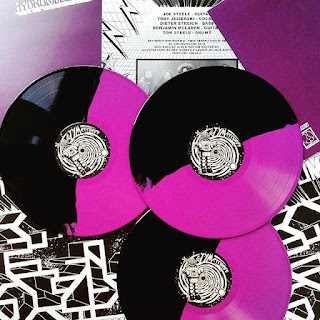 Now in split black/purple vinyl, the record is sexier as well! I won't miss out on their pumped-up 70s metal extravaganza (with Sleep injections, just to keep you on your toes) this time - and neither should you.